Welcome! We hope you enjoy your stay! You can checkout any time you like, but you can never leave. Items which you have not brought with you but which are possibly necessary for your continued happiness here within The Village are may be available here in The Village Office. (available as a layered .psd) – download, add your information, post to your blog! 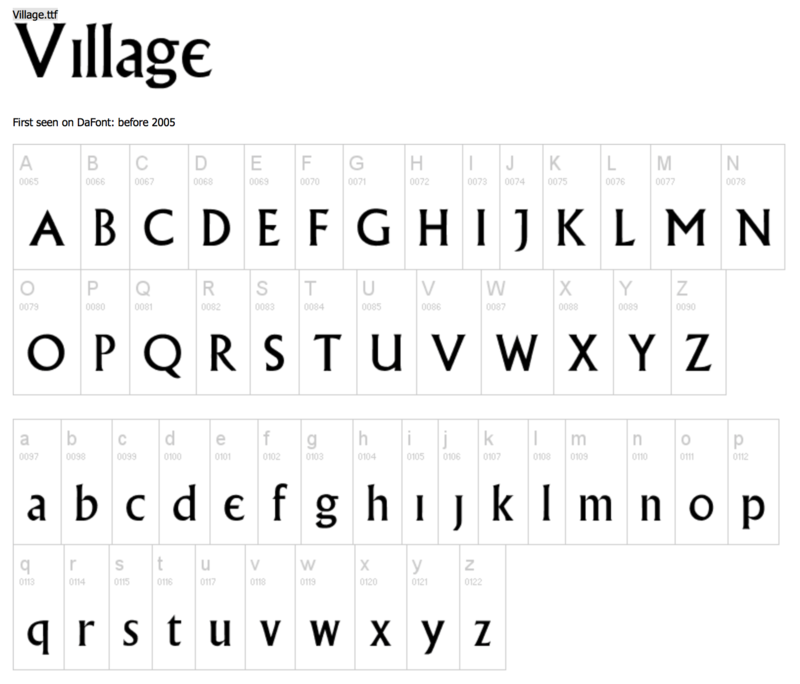 You will need to install the Village font to maintain design integrity with other residents of The Village. – Village.ttf available at dafont.com — a great repository of fonts for creative purposes! 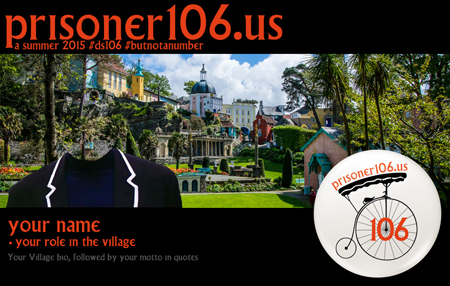 Here in the #prisoner106 Village, we are all number 106. Download a badge of participation to display on your blog! The prisoner106badges.zip file contains four sizes (widths of 400, 300, 250, and 200 pixels) in each of white/red and black/red. The .zip file also includes a readme.txt file with a small snippet you can edit to put in a sidebar text widget to link to your posts and the prisoner106.us site. For-Real 3D pin badges will be available later this summer for continuing participants. They will be sized like the original badges from the 1968 series, but will include the prisoner106.us URL and our shared 106 number. Unfortunately, the spokes will not rotate — we can currently only do that in a GIF! Resident John Johnston has graciously shared his Village Jim Grooms glasses for those Residents who may wish to try on a pair. Caution: These glasses have a somewhat hypnotic effect and may cause unintended side-effects should they interact in an as-yet undocumented manner with other prescribed Village Remedies. Download John’s file.